Enjoy these great moments from Return of A Very Off Xmas - the December 16 show. See you all in 2018! Happy Holidays from Everyone at Off Center! Return of A very off x-mas! Santa and one of his demented elves usually show up, along with a bunch of spirited entertainers. It's no secret Santa has problems and Off Center is the one place he can be real. The kids should stay home....it's a Very Off-Xmas! Doors 7:00 p.m. - Showtime 7:30 p.m.
with tangos, hymns, twang, blues and r and r.
Featuring Nica Allen, Dana Block, Geof Hewitt, David Klein, Donny Osman, David Schein and Jeff Tolbért. Get reservations at Sevendaystickets.com or take your chances at the door....limited seating. ​November's Log Jam hosted by members of the Leftover Society. The Log Jam is an improv mixer dedicated to longer two- or three-person scenes followed by a big group mix up! Are you a seasoned veteran? Cool! We hope to have you. Are you just starting out? Awesome! This will be a great place to practice what you are learning in class. Never done improv before? You should come too! Sign up at 7:30 sharp. 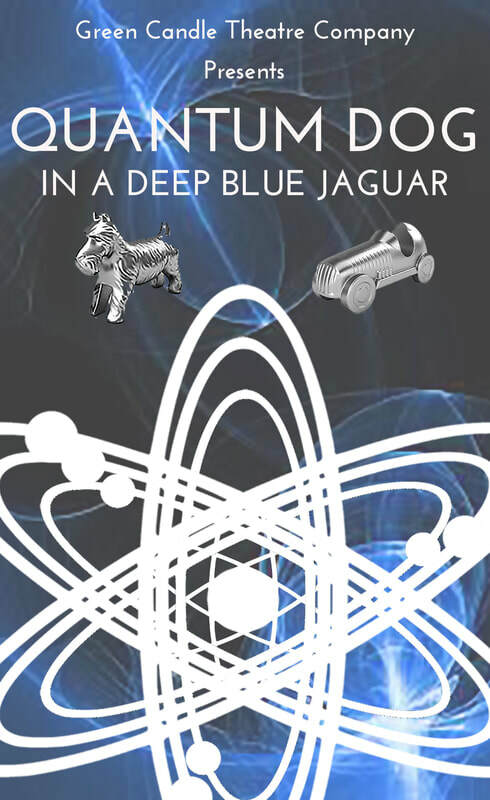 Quantum physics, agoraphobia, family conflict, prison release, coffee and cake, gangster love, locksmithing, and inter-human relations make for a Quantum evening of theater. The play was performed in 1996 at The Westbeth Theater Center in NYC after its debut at Champlain College. The revised work is new and sleeker, directed by the author. Ellis Burgin, Steph-Marie Szenasi, Nicole Switalska. drawn from the best of the famed author and illustrator’s works. 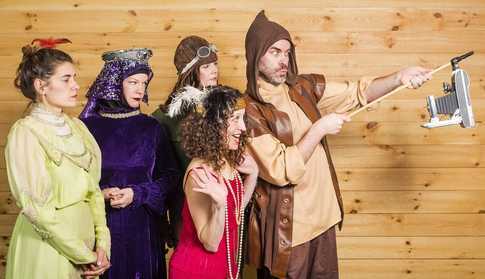 Such favorites such as “The Doubtful Guest” and “The Gashlycrumb Tinies” will be brought to life by a combination of live actors and puppets by the Burlington area’s acclaimed puppet theatre company. We have an incredible and diverse group of artists coming together to celebrate local performance - four days of theatre, dance, music and comedy. From the wild adults-only shows on Thursday's Blue Night to the wacky all ages fun of Sunday's Family Fringe, we have live local entertainment for everyone! Check out the full festival listings here! Ready to jump to buying tickets? Tickets are on sale now right here! ​Thanks to Seven Days for their terrific preview! Read all about our little-festival-that-could here! ​See you at the Fringe! For the second year, Off Center will have a booth at the South End Hop! We will be at Dostie Bros Frame Shop - 308 Pine Street celebrating wild performance art with our South End artist friends. Stop by to chat and get all the info on upcoming Off Center events such as the Burlington Fringe Festival 2017. The goofs of the long form improv comedy group ﻿﻿Slinky Says Relax﻿﻿ are celebrating their one year anniversary as a team and are hosting a night of improv and prizes in the Old North End. Come watch Slinky perform a fully improvised musical based off an audience suggestion as well as two new improv teams that will also be featured in the show! Remaining seats will be available at the door. NIGHT SHADE is thrilled to debut the full-length shadow play “The Daughters of Sunset”. Four days of cinematic style shadow puppets, in a triad of creative obsession weaving together visual luminescence, vacillating soundscapes and symbolic alchemy that will flow through the theater and engulf audiences in rapturous reflection. “The Daughters of Sunset” is a psychedelic allegory from a world where spirits stalk their hosts and witches grant wishes. A mother's search into the mysterious disappearance of her daughter illuminates the shadows of her past. Haunted by her fears and running out of time, can she reclaim her place in the ever-growing and perishing beauty of life, and pull herself from a web of anger and guilt through her discovery of the Secret of the Spider? NIGHT SHADE SHADOW THEATER founded in 2007 by artists Sarah Frechette (native Vermonter) and Jason Thibodeaux are revolutionizing ancient shadow puppetry by using light to manipulate depth and space. Blending pocket-lights, hand-cut illustrations, an original soundtrack and experimental storytelling into a form of cinematic theater that flows like film. Night Shade has lit up puppetry, art and music festivals across the U.S. including the New Orleans 2017 Giant Puppet Festival. 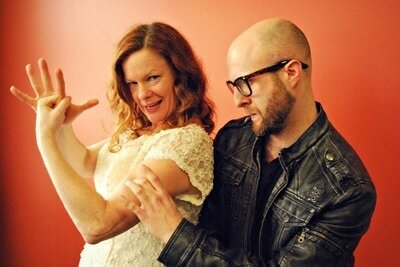 Sarah and Jason also make experimental puppetry films and have worked on stop-motion films at LAIKA studios. 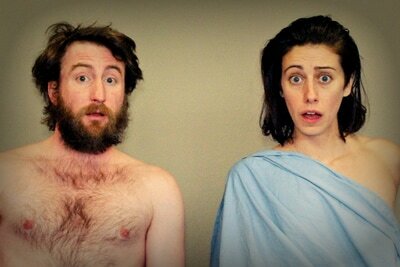 ​Preview show at 8pm, teen & adult audiences. Friday, Saturday & Sunday, August 25, 26 & 27 / Show at 8pm, teen & adults audiences. Work in small groups on voice technique, dance, and acting. We will perform for friends & family at 4 pm on Friday. The Burlington Fringe Festival, hosted at Off Center for the Dramatic Arts, is an opportunity for performing artists to take new chances and to find new audiences, and for audiences to sample the independent theatre that is taking place in our community. All genres are welcome; Solos, Plays, Puppets, Dance, Robots, Cabaret, Anti-theatre, Theayater, etc. Each show has a strict 20 minute time limit, and must have a load-in/breakdown time of no more than 5 minutes each. The light plot should be simple, with few props & set pieces, and simple lights and sound cues. There will be a half-hour tech rehearsal the day of the show. 4 shows per night will be awarded to the first applicants who apply after 8AM Friday, July 28th. No applications will be considered after 8AM on Monday, August 14th. All artists will be notified by August 25th. performing this classic Shakespearean comedy! Spring Open Artist Showcase fulfills Off Center’s mission to promote and present new work by Vermont theater artists. Participants are selected by lottery from a wide selection of applicants and are given the space rent free, splitting the bill with another winner for one week to showcase their work. A total of four shows were presented over the two week festival. Each of the four selections ran under one hour. The year is 2017 and the old gods are at war. In a world of hard knocks, tough luck, and dire times, one man arises to avert the inevitable. Join our hero, Miro, a plucky young developer with a heart of gold, on his journey to stave off the evil Golden Lions of Discontent and abort the apocalyptic Birth of Love. A truly American story. Joe O'Brien is a Burlington resident and aspiring professional amateur. He is a member of the Cosmic Noodle Improv Confederacy Federation, a recently formed local collection of go-getters. This is his sophomore play in Burlington, following the sprawling smash hit FUN NIGHT. plays selected from the past nine seasons of TenFest, a festival of short plays showcasing Vermont playwrights. Directing the shows will be Jeanne Beckwith, Kim Ward, and Vince Broderick. All plays will be performed by a company of TenFest veteran performers, several of whom were actually in the original casts. The Vermont Playwrights Circle promotes original theater works written by Vermont Writers. Summer 2017 will mark ten years of TenFest which over the years has presented the works of Maura Campbell, Liam Kuhn, Luc Reid, Dana Yeaton, Jack Rushton, Roger Strauss, Marissa Smith, Lesley Becker, Dvora Zipkin, Em Frappier, Mary Beth McNulty, Margo Lasher, and many, many more. Two men and one woman are camping by a brook in the State Forest. The natural setting promotes a relaxing of usually necessary social restraints. The resulting alliances and interactions prove to be both intrinsically interesting and instructive. way back to civilization. The decision proves a complicated one as forces of nature and her own mind begin to take their toll on her. 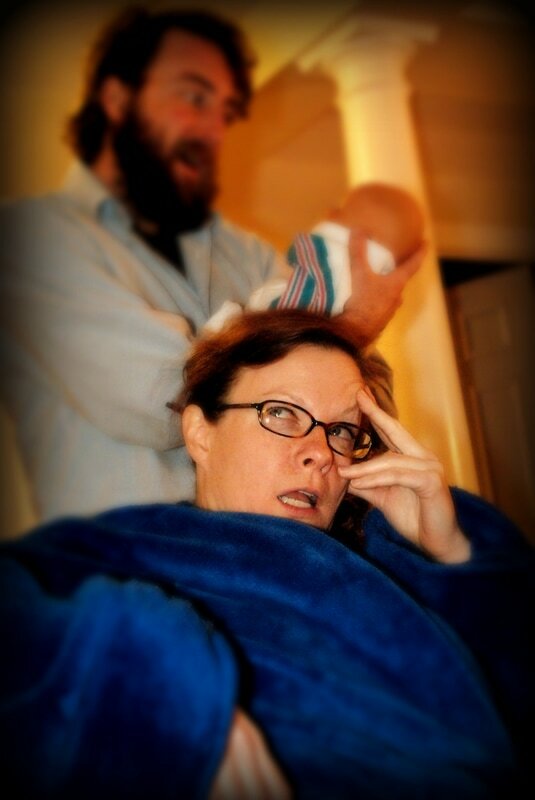 Meredith Gordon is currently a stay at home mother of two in Shelburne, Vermont. When not chasing around after her two children, she is hard at work on her brand new parenting blog, I Make Your Parenting Look Good. A blog, much like her play for Off Center, highlights the honest struggles she feels as a parent. Her one woman show, Outpost, is a true labor of love and is the first solo show Meredith has ever created. You may have previously seen Meredith on the Off Center stage as a member of the Potato Sack Pants Theater sketch comedy troupe. A group she hopes to work with again, once all these kids of ours can make their own dinners. Black Powder..a tale of Boomtown. love and redemption..and Black Powder! will Big Daddy Bucks Western and his Board Members..succeed in building Boomtown up? Will His Daughter Belle..get what she longs for? Who's Ah Pook and whats his secret? What's with the 16 tons of Black Powder piled in the Magazine!!? Tickets $11.11 cash on the barrelhead! First come, first served, limited seating - be early to get in! Visit Western Power and Fuse Co online for more photos and details! members of PANTET Deborah Felmeth, Steve Budington, Kareem Khalifa, Ron Rost and Terry Simpkins are joining the fray. Isabelle Duthoit studied classical music in the CNSM de Lyon with Jacques Di Donato, receiving her degrees and first clarinet prize in 1995. Soon she focused on contemporary music and has since been collaborating with several composers. As an improviser, she initiated projects like Triolid, Trio Canape, Fogo (the rock band), “Bouge” (with Luc Ex and Johannes Bauer), and Where Is The Sun (with J.Di Donato J. Tilbury). Between 1995 and 2005, she directed "Fruits de Mhere" a festival for experimental music, dance, and cinema in collaboration with Jacques Di Donato. Since 2000, Duthoit has developed a particular and personal way of singing, connected to primitive sounds and screams, a voice before language. In 2008, she was a resident at the Villa Kujoyama in Kyoto (Japan) and she worked with Nô and Bunraku singers. She is a member of Hiatus, a band for improvisation and contemporary music and works with theater and dance. Franz Hautzinger studied Jazz at the Art University in Graz from 1981 to 1983 until lip palsy forced him to take a six year break from trumpeting. After moving to Vienna, in 1989 he started to explore the trumpet in his very own and un-academic way. Soon attached to the circles around Christoph Cech and Christian Mühlbacher, Hautzinger became one of Austria’s most prolific experimental musicians. He has worked with many international avant-garde musicians and has directed a multitude of his own ensembles. Since developing his own style he has collaborated with musicians like Keiji Haino, Hamid Drake, Jamaldeen Tacuma, Elliot Sharp, Otomo Yosihide , Butch Morris, Lou Reed, Zeitkratzer, Derek Bailey, and Phil Niblock. Through the years, Hautzinger has developed his quarter-tone trumpet to a whole new kind of expression, where he elicits bizarre sounds and noises. In his solo performance, he creates adventurous soundscapes that often sounds more like electronic music than a trumpet. Trumpeter-composer Arthur Brooks is one of the unsung heroes of the new music. In his 40+ year career he has collaborated with such legendary figures as Bill Dixon, Cecil Taylor, Sonny Sharrock, Alan Silva, and Frank Wright. For over 20 years he taught alongside Dixon in the Black Music Division at Bennington College. PANTET is a Vermont based musicians collective dedicated to improvised music. BEHULUM GRAFFITI and ONE LOVE THEATER ARE ON SPOT AT OFF CENTER! What’s going on in Visual arts? Music? Poetry? How you might get involved? from Nairobi to Lagos to Adis? Behulum Graffiti, is the Managing of Ethiopia's One Love Theater (OLT) which over the years has collaborated with visual artist’s, writers, theater makers, and musicians from all over the world, Behulum. one of Ethiopia’s best known graffiti artists. will make a presentation on making theater for social change in the market places of Ethiopia, and will talk about what’s happening with the young visual artists in Ethiopia who are part of the world-wide street art movement. Behulum is in the USA to participate at the Trinity International Hip-Hop Festival in Hartford CT and as a participant in the Willowell Foundation’s Vermont/ Ethiopia’ Teacher’s Exchange. He is teaching this month in Addison County Schools. Behulum will show videos of One Love Theater in performance and display some of his own paintings and art. 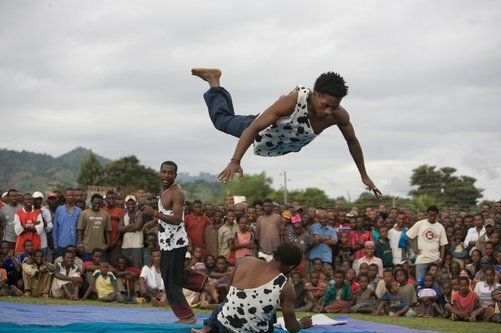 David Schein, who founded One Love Theater in 2002 and Matt Schlein, President of the Willowell Foundation and Coordinator of the Vermont Ethiopia teacher exchange will also present. This is a free event with refreshments. We will have beautiful scarves and paintings for sale to benefit One Love Theater. Contributions welcome. Where we come from isn't nearly as complicated as what comes next. 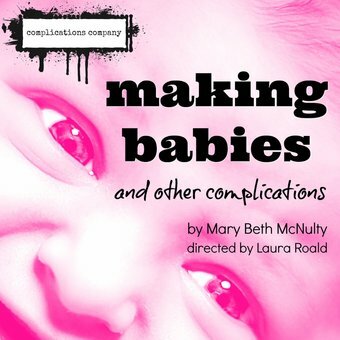 Complications Company presents an anthology production exploring the tangles of life after birth through seven short original works. And together, we’ll figure out how to recover from death. There will be a Pay-What-You-Can Preview Wednesday, April 19 at 7:30 PM. PWYC tickets available at the door only. Also available: Special Golden Tickets ($20 - admission plus special VIP treatment) and Sponsor Tickets ($25 to sponsor a seat for student/patron-in-need) available now: Click HERE. Complications Company: a process-driven playwright's theatre based in Burlington, Vermont. We are devoted to the creation, development, and production of new plays. ​Off Center for the Dramatic Arts invites all Vermont theatre and performance artists to submit an application for the first ever Spring Open Artist Showcase Festival, which will be held June 1-11, 2017. WHAT IS THE SPRING OPEN? The Spring Open Artist Showcase is a two-week festival designed to showcase the remarkable theatre and performance work being created and performed in Vermont. Four artists or companies will each have the opportunity to present a 60-minute show on a double bill for one weekend at Off Center for the Dramatic Arts, with performance rental, technical support and group festival promotion organized by Off Center volunteers. Each company will receive a third of the box office profits from the weekend of their performances. The goal of the Spring Open is to give our local companies and artists a special opportunity to showcase their work, to nurture new works and artists in a low-cost environment, and to broaden audiences. Solo Shows have a separate lottery. One of the four production slots is reserved for a solo show. If you are planning to submit a solo show, you must fill out a Solo Application. Two of the General Application production slots will be reserved for artists and companies who have supported Off Center’s efforts to build a low-barrier theatrical production venue in Burlington as active renters in the past. This leaves one slot open to all artists and companies in the state of Vermont and to welcome newcomers to our theatre community. Please note: we don’t know how many applications we will get, as this is new initiative. If we are overwhelmed with applications from new-to-us artists, we will revisit this guideline. All works should aim to be 60 minutes long. 40 minutes is the minimum run time. Each production will be paired with another festival participant on a double bill. There is no curation as to content of the 60 minutes, however we strongly urge applications to premiere new plays/performances and to present original works remounted with fresh vision. We are most excited to help our local community share new ideas and latest creations. Any play which is not original must provide documentation showing the company has the rights to perform the work. Companies and artists may submit one application each. However, artists may work on each other’s submissions. For example, Jane Actor’s company may submit and produce a show featuring Jane Actor, and Jane Actor may also perform in a show submitted and produced by Company X. WHAT DO WE (the artists) GET IF WE PARTICIPATE? A 60-minute production slot, as part of a double bill running for one weekend in June with no rental fees. Promotion in all festival marketing run by Off Center volunteers, including social media, posters, handbills and all the media coverage we can muster. One-third of the box office profits for the weekend of your performance. Each weekend of the festival the proceeds will be split three ways - between the 2 companies producing and Off Center as presenter. Communal promotional costs not covered by sponsorship or donations will be taken off the top. Access to Off Center’s theatre for one full day and evening in the week leading up to the performance to run a full technical rehearsal. Basic technical support using the standard lighting plot and sound playback system. All selected works must be produced by the company as a final presentation product, not a workshop - actors are expected to be off-book, and performances should be rehearsed for a minimum of two weeks before the performance dates. Off Center will be the presenting organization, not the individual show producers. Selected companies/artists must liaise with the festival producers and participate in preparing promotional materials (provide photographs, biographical info, show information and synopsis etc.) and help distribute promotional materials through your personal networks. All set and technical requirements must be small. There is minimal storage, and all shows will need to be set up and struck before and after each performance. Shows with complicated technical cues will be required to provide their own board operators. Simple shows can be run by the event stage manager. Fill out an application form (download the General or Solo Performance Application below) and return the completed form via email to Laura Roald at offcentersocialmedia@gmail.com by 5:00 PM on Friday March 17, 2017. We will hold a public lottery drawing on Thursday, March 23 to select the artists/companies - look for details of this fun social event! We will also draw for a waiting list, should companies be unable to participate or drop out of the festival. Thursday, February 2nd - 7:30 p.m.
Friday, February 3rd - 7:30 p.m.
Saturday, February 4th - 4:00 p.m. and 7:30 p.m.
Sunday, February 5th - 4:00 p.m. Stealing from Work is back with a full show of brand new sketch comedy written by Angie Albeck and Marianne DiMascio. Join actors Chris Caswell, Marianne DiMascio, Alex Hudson, Jory Raphael, and Geeda Searfoorce for a fast-paced evening of lunacy and lampoonery. Directed by Seth Jarvis, the actors deftly continually transform into a different set of extraordinary characters, alternately spoofing contemporary culture and the political issues of the past and present. With sound design by Jess Wilson, Stealing from Work’s production takes on familiar and new topics, all with a local flavor. *Tickets for Wednesday, February 1st only are “pay what you can” and are only available at the door. 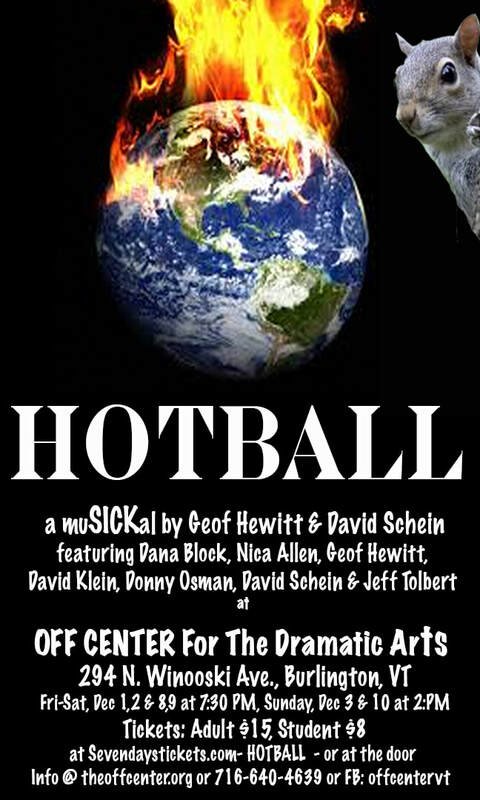 Tickets for performances on February 2nd - 5th are available at FlynnTix.org (Click HERE). Additional information is available at www.facebook.com/StealingFromWork.